In January 2014, before I started No Book Unread, I was really just beginning to rally for the first time in my bare-knuckle brawl with creative writing or, well, writing in general. In the grip of a cold a wintry despair, fueled by my disparaging evaluation of my writing ability, my bruised ego and I wandered into the Biddeford public library. Perhaps it was due to a flash of inspiration that I wandered in, a sudden realization that the former writing masters of the world were at my fingertips within the walls of that amazing public institution; the library. Walking in I could almost feel a hand grasping mine, the leathery grip of Mark Twain maybe, whilst behind him the heads of other literary greats rose slowly from a field of clouds, nodding approvingly. There was warm laughter and then I floated off the ground and then...Erm, it gets a bit hazy after that. In any case I was quickly charmed by the nostalgia and potential of the library. I had forgotten just how much I enjoyed the sight and smell of stacks upon stacks of books and after wandering around the Biddeford library for the first time I decided I was going to need a library card. I just had to have one. I wanted to tap into that vast bastion of knowledge, this reservoir of literary achievement. I stopped at the front desk, filled out a form and slid the completed card back across the counter. The polite lady behind the counter picked up the card and studied it for a moment. "Oh, you live in Arundel*, that will be 30 dollars." replied the polite devil-spawn looking back at me. *For some draconian reason Arundel, the small town I live in, wedged between the larger (but relatively small) cities of Biddeford and Kennebunk, does not have a library of its own. Nor is there a program of shared use for Arundel, even to this day. Thirty dollars!? That's more than one year of Pandora One. That's the same cost as a reasonable meal for two with an appetizer. That's the equivalent of two months of Netfli- oh. Wow, huh...Netflix is kind of expensive when you think about it that way. I digress though. I paid the nice hell-beast behind the counter and she provided me with my very own library card. As I deposited the small plastic square into my wallet the lady stared quietly at my soul and licked her lips in hunger. Somehow the magic of receiving a library card is diminished when you have to pay for it. The reality of the library as an adult was at odds with my younger self's recollections, though mostly is small subtle ways. Still, I soon found myself lost between the shelves upon shelves of books regardless. The magic of the library still took hold. After all, I was going to read up on classics and discover new authors who spoke to my soul (the parts that weren't spoken for or gnawed upon by hungry librarians anyways). I wanted to read Vonnegut and Twain and...and, and then I passed through the non-fiction section on my way to a cornucopia of fiction. A book in the psychology section caught my eye as I was passing by. And then I wasn't 'passing by' any more. I was parked, then I was browsing, and then I was collecting. Two hours later I walked out of the library with a stack of non-fiction and Ender's Game perched precariously on top. I was confused at first, even then, as I browsed the library's selection. I hadn't taken such an interest in non-fiction since elementary school. Somehow books I might have once considered dull, dry, languishing affairs now sparkled with fascinating and illuminating information. I devoured non-fiction book after non-fiction book within the first few months of rediscovering the library. One of the first books I read was Talent is Overrated by Geoff Colvin; an examination on why the concept of talent is largely a modern myth. I moved onto The Shallows by Nicholas Carr next, a fascinating read on how the internet reshapes our brains. But it's not just the internet that shapes our brains, every medium does, and each medium in different way. If I wasn't sold on good old-fashioned book reading before I was then. Not that I shun the internet (which should be obvious) I just believe in striking a balance. Imagine by Jonah Lehrer followed soon after, an exploration of what makes creativity tick. Then Wisdom by Stephen S. Hall- a book about its namesake, then a book on Balance, the mechanisms behind our ability to stay upright, and even got partway through a book discussing the joys of reading and a selection of history's greatest works (excerpts mostly). Although I can't recall the titles of the last two. I have gone through the trouble of listing as many titles as I can recall in case anyone else is interested, since all the books I previously mentioned were excellent. Eventually I reached a point where I was buying non-fiction books of my own. I only bought a few books here and there, I couldn't really afford any more than that at the time. As the months went on though I also visited the library less and less. My plan to read fiction was back-firing. I still loved going to the library but I no longer trusted my myself to make it to the fiction section without ending up with a half-dozen non-fiction titles and my trips to bookstores weren't much better. Not long after No Book Unread was born; it was my answer to "What will get me reading more fiction?". I come at last then to why I have scratched out such a long-winded and meandering introduction. Much like my 2014 foray into non-fiction, today's book came into my possession during the bitter final breaths of a spiteful winter. Even for non-fiction Deer Hunting with Jesus is not my usual fare. The book is highly political, poignant, at times jestful, and (and I can't believe I finally have a chance to use this old regional folk-saying in context) sometimes heavier than a dead minister. The author, Joe Bageant, was a man with something to say and you can feel his passion on every page. Beageant's wit is biting, his eye penetrating and discerning, and his anger, his empathy, and even disgust colour every paragraph. 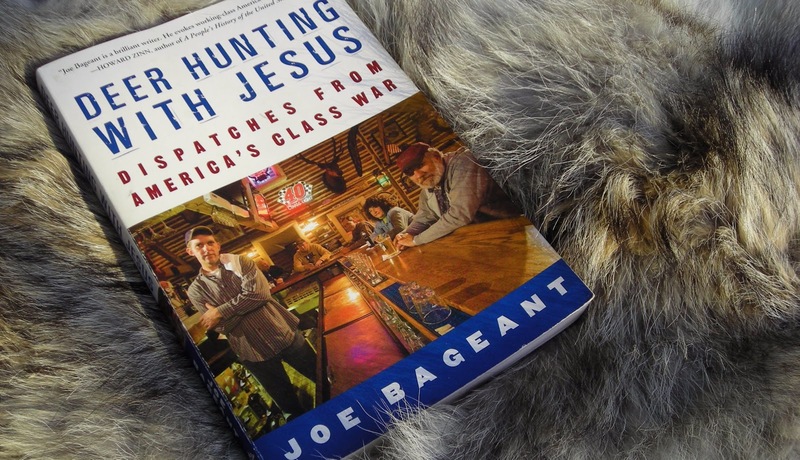 Deer Hunting with Jesus (DHwJ) is Joe Bageant's heartfelt yet critical examination of America's lower class, particularly those of the south-east. Bageant discusses why the lower class, the 'working class', appears to vote against their best interests, how many get trapped in an endless cycle of poverty and debt, how their world-views and awareness of the world-at-large are consistently and continually shrinking. There is such depth and breadth that for such a short book that I can barely describe it. Despite the frequently depressing subject matter DHwJ can be wickedly funny at times too due to Bageant's rampant sarcasm. "Evangelical NASCAR? Yup. ABC called it America's 'unapologetically evangelical sport. 'I can see you, dear reader, running and holding your head and screaming at the thought. Yes it's true. At Bristol and Talladega the earth is shaking for Jaaaayzus!" My wife (Jennifer) and I read the book together, with me reading the chapters aloud. There were countless good discussion topics and I think Jennifer and I spent as much time talking, ranting, and raging as we did actually reading (or listening) to the book. We both have extended relatives who fall under the culture of Bageant's narratives and it was interesting to discuss how they did or didn't fit in with the portrayals within DHwJ. Yet, despite the focus on redneck culture there is a lot of focus on the greater context of America as a whole. As part of the working class ourselves there are certainly aspects that applied to our lives as well. One thing is certain though, with each chapter it's a coin flip whether you'll end the section shaking your head sadly or rubbing your forehead in disbelief. Bageant has a way of penetrating to the heart of complex issues with clarity and purpose. Even if you might not always agree with him politically he brings up a lot of points of consideration, and you can't deny his empathy for the down-trodden working class of his hometown. Bageant paints colourful literary portraits of real people and their struggles, their beliefs, and their values. He places you into their lives and circumstances and walks you a mile in their shoes that you can evaluate a way of life, that may be very different than your own, from the ground floor. Bageant examines some weighty subjects and the chapters are titled with hard-hitting tag-lines like American Serfs: Inside the white ghetto of the working poor, Republicans by Default: Redneck pride and fear in an age of outsourcing, or American Hologram: The apocalypse will be televised. Each subject is tackled with remarkable insight too. In one chapter on housing and mortgages Bageant correctly predicted the collapse of the housing market in 2008 despite the fact that DHwJ was already in circulation in 2007. (Although for those with the right knowledge and perspective the collapse was hardly unforeseen.) Also impressive is that DHwJ is surprisingly readable and never becomes bogged down by pretentious verbosity. DHwJ isn't intended for intellectuals, it is intended for anyone with enough interest to want to know more. He turns his intimate knowledge of his hometown into a declaration of war against the social and political forces that have warped the lives of many Americans into a harsh and stifling existence. Yet, Bageant's tone is conversational, a running commentary that runs through each chapter as he characterizes his topics with memorable locales and illustrative stories. The way Bageant's thoughts blend with his (true) stories could almost be pinned as the literary equivalent of the same sort of self-narrative asides that can be found in Malcolm in the Middle, Dexter, or Scrubs. Although my examples are mostly from comedies DHwJ has proven the technique effective for Bageant's mix of seriousness and ruthless comedy. What I liked the most about Deer Hunting with Jesus was that the whole book seemed to be an invitation to think. You weren't supposed to get to the last page and think "Well that was a good book, I wonder what I'll read next?". Certainly I couldn't, and I can't imagine many others could either. There is enough to consider in each chapter that you could probably be satisfied with a chapter a day even though the book is easily short enough to be finished in one. 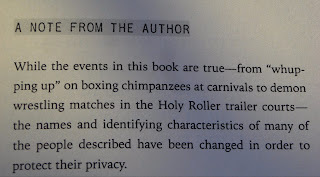 The content of each chapter transforms from start to finish so it was not unusual for me to find the text ranging from chilling to raucous, or from scintillating to terrifying. Bageant seems to ask; what are we doing and why aren't we doing more? Which is, I think, much of Bageant's point. He points out the spaces between the lines and asks us to ponder, if only for a moment, beyond the facets and circumstances of our daily lives. We are asked to think about our culture and the constructs of our society and how they shape our lives. We are supposed to pose the question to ourselves "Am I okay with this? Am I comfortable with not doing more now that I know?" That said, DHwJ is not judgmental. You are left with Joe Bageant's well-articulated thoughts and haunting stories. You are left with facts and opinions, but the decisions are all left to you. 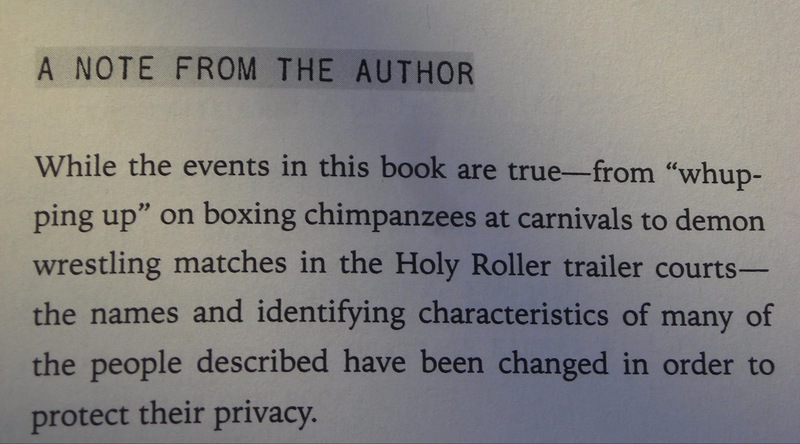 I'll leave you now with an excerpt from the final chapter of the book. The following is one of the parts that stuck with me the most in the days after I finished reading. I think you'll see what I mean about Bageant's powerful grasp of skillful writing and penetrating insight. "Self expression, the way we recognize ourselves as human beings among other human beings, was once messy and unpredictable, reflecting the assumption that each person is unique. Individuals had to find their own places in society without many clues and not the slightest shred of a "lifestyle" to cling to. For young people self-discovery was full of experiment and error. Neither our fathers, grandfathers, nor we had to "navigate the fast-moving youth landscape" that youth marketers assure kids today they cannot traverse without at least a No Fear baseball cap, a repro vintage dinner jacket, and rugged safari shorts- all worn together and purchasable at the mall. The [American] hologram generates tens of thousands of such social identity keys. Having mixed and matched his newly purchased identity to his satisfaction, that kid photodigitizes it into yet another simulacrum on a camera phone and shoots it into the ionosphere to be down-loaded by a similar creature gazing at the same hologram. The difficulties of self-expression have been neatly eliminated through standardization, adult yokels and urban sophisticates can choose from a pre-selected array of possible selves based solely on what they like to eat, see, wear, hear, and drive. Your baby can wave from her $400 car seat in the Volvo, perhaps drawing an observer close enough to see the "Pacifist's Pledge: imprinted on her 100 percent hemp T-shirt. When enough of your own kind coagulate around anything you have a "lifestyle" on your hands. If nothing jells around your own assembled coolness, then you join some larger lifestyle. A thousand magazines give direction on how to do it: Elle, Savvy Senior, Today's Black Woman, Trailer Life, Harper's Bazaar, Cabin Life, Town and Country, and, for the affluent, Grand, (a magazine for well-heeled grandparents), not to mention good ole High Times. The choices are die-cut but seemingly infinite: One woman expresses her fuzzy, warm, and nurturing side by collecting over-prices Care Bears; her husband expresses his manly wildness through his ATV and camo casual wear or his souped-up home computer (the new white boy's hotrod). 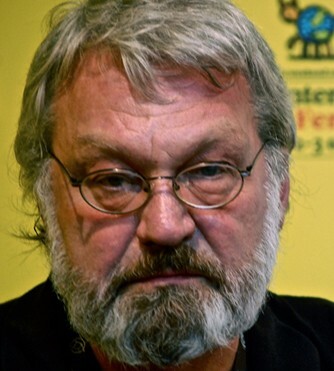 Meanwhile, farther up the literary scale, many thousands of would-be writers display their tragically unrecognized wit and insight as movie critics, using mass distributed blogging software on mass-produced computer hardware to illuminate mass-distributed films (the prevailing assumption being that an audience, however small, is proof enough of authenticity and individuality). They sound like a motley bunch, but they share one common characteristic: Not one of them made up his or her identity from scratch. *Note: I know I quoted a lot of text, but I felt it was necessary in order to properly convey the breadth and progression of Bageant's ideas.